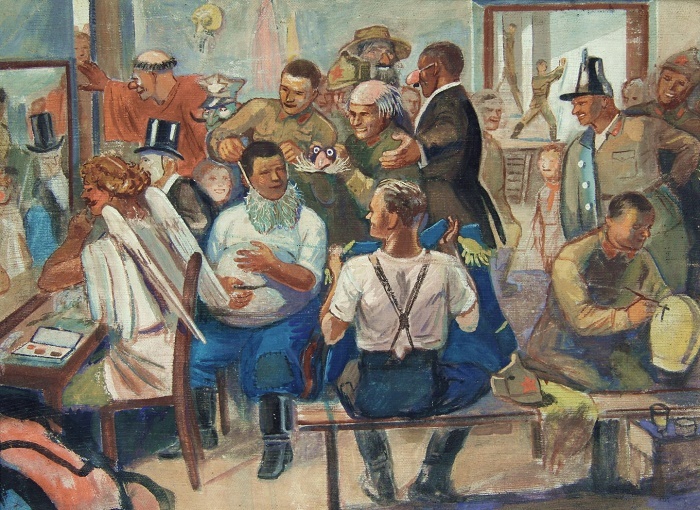 Amateur theater was popular in the Soviet Union. Painting by Viktor Govorkov. In the conditions under which these people lived, with Death all the time knocking at the door to take another victim — there were really just two choices: Either one throws away one’s humanity and just descends to the level of a dumb beast; or one becomes more human. Pechersky’s memoirs abound with gruesome tales, nonchalantly told: How guards would shoot prisoners for sport; how prisoners were beaten almost to death for the slightest infringement; how they were forced to labor to exhaustion; how they were chased by dogs and tossed into cauldrons of boiling water; how people were killed for their possessions and to extract “raw materials” for the Wehrmacht. The everyday life in Dante’s Hell. Lev Simkin, in his book entitled “One And A Half Hours Of Vengeance” wrote that the very arrival of Soviet POWs “as a monolithic group who possessed military experience”, raised the morale of the Sobibor camp prisoners. As these guys were very different from the beaten-down and pessimistic “old-timers” in the camp. By that time Pechersky had been a POW for almost two years, and it is remarkable that he still had not been broken. On the contrary, he had been able to preserve his human dignity to the fullest degree. Preserving his humanity: This was his own personal daily rebellion against an inhuman system. 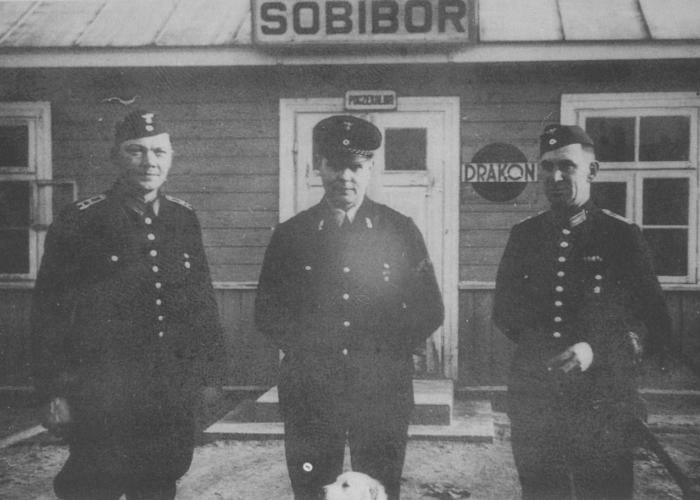 Another remarkable fact is the swiftness with which Pechersky seized every opportunity available to him: He only arrived in Sobibor on 23 September, and already by 14 October the escape was underway! In other words, this whole complicated escape was planned and executed in just a couple of weeks! 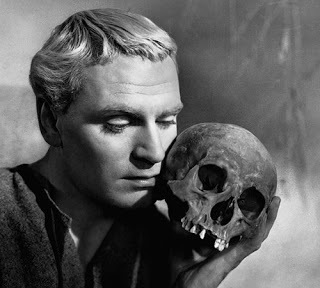 Next: In the world of Reality Theater, was the real Pechersky a Hamlet or a Fortinbras? This entry was posted in Human Dignity, Military and War, Russian History and tagged Alexander Pechersky, Sobibor. Bookmark the permalink.